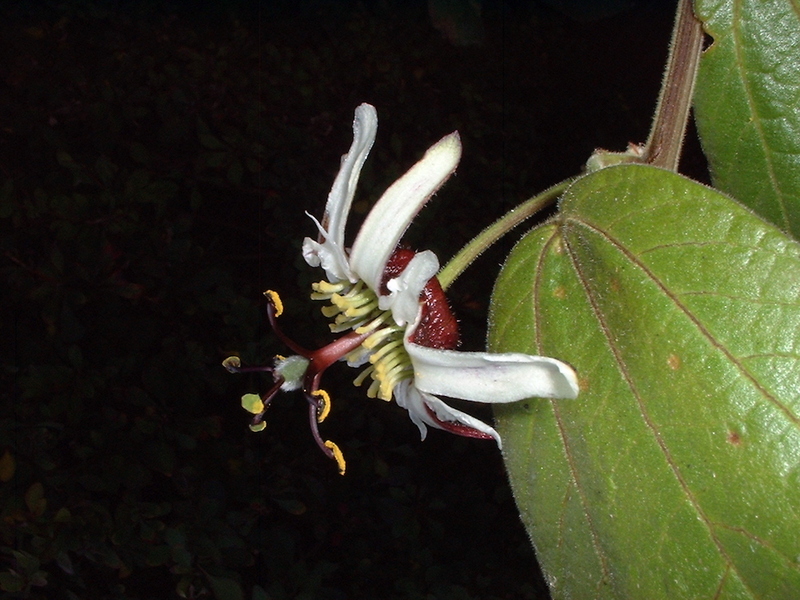 Passiflora bogotensis, sometimes misspelt bogatensis, is a beautful plant with soft velvety leaves, very rare outside Colombia. 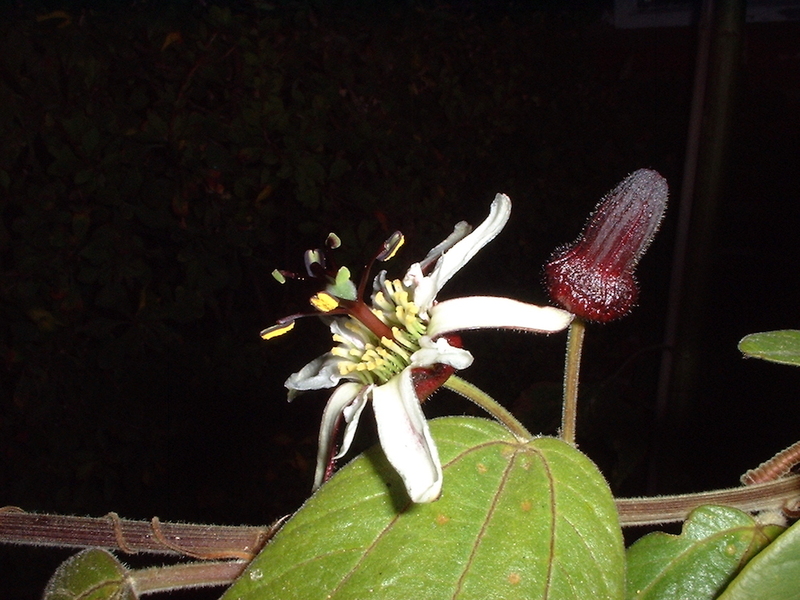 Unusually this species will self pollinate by hand. 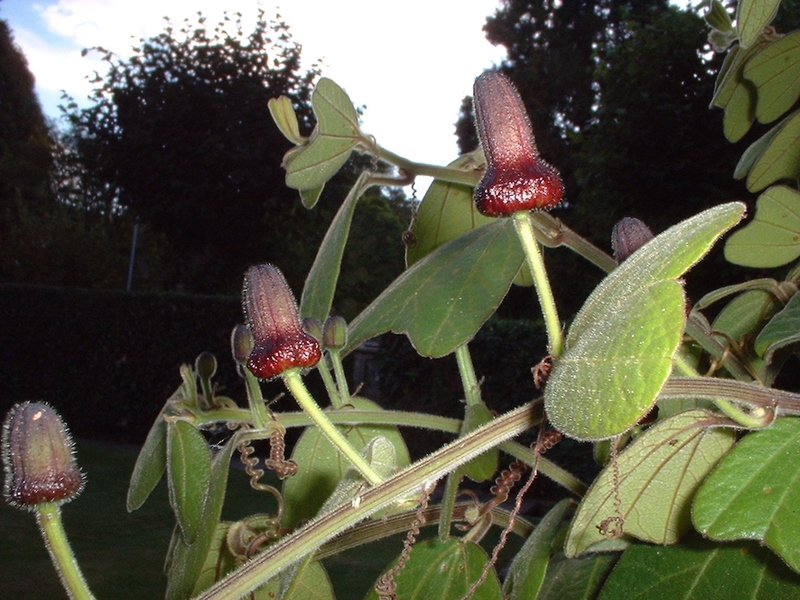 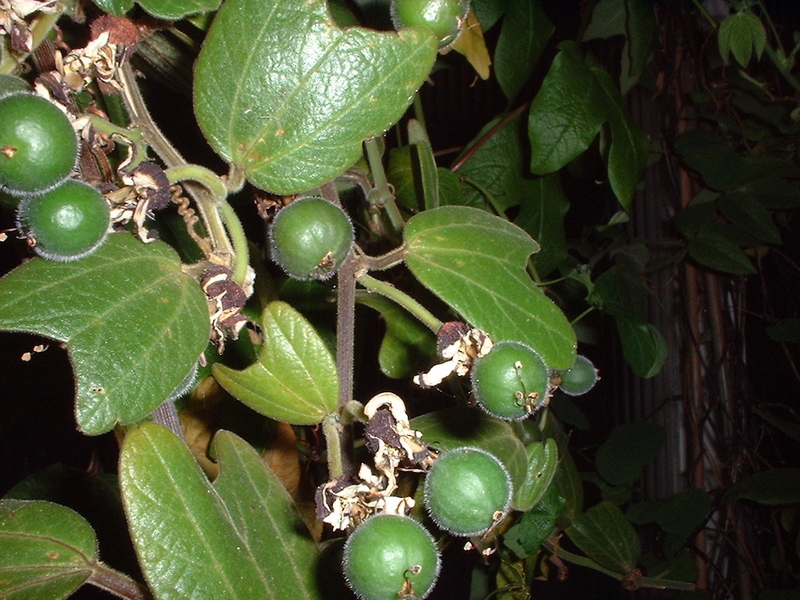 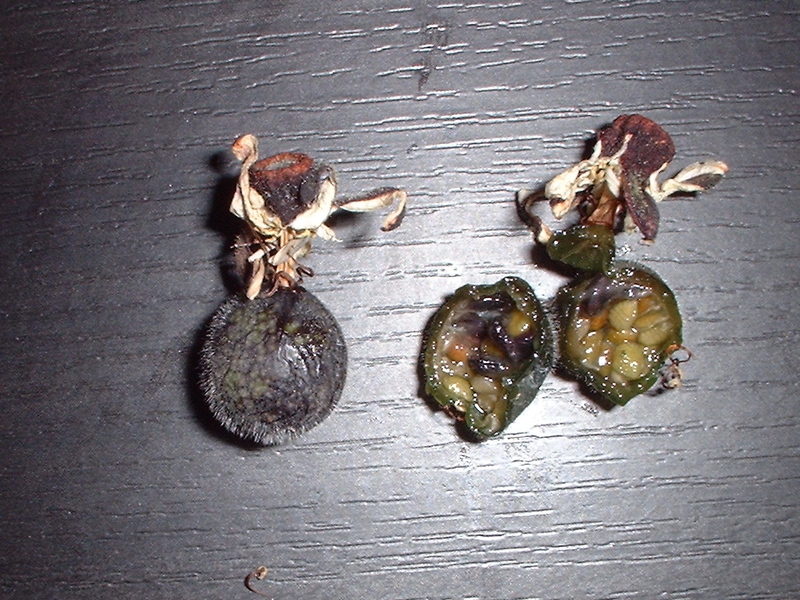 The small dark round fruit are not edible.